Book Distribution Fun and Frolics. Those of you who read my Publication Update From a Terrified Author will be familiar with my journey to publication. If you didn’t, go there now. It’s okay, we’ll wait. 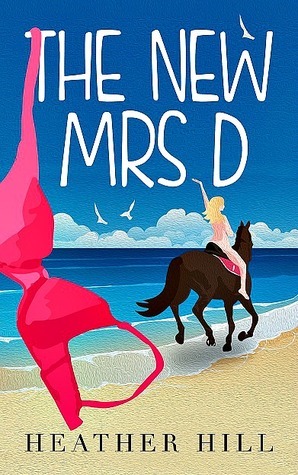 So to update you some more: last week, several times as it happens, I published the paperback of The New Mrs D. I say several times, as with each proof review I spotted much needed formatting tweaks and kept taking it back down, which rather spoiled the all-singing, all-dancing publication fanfare approach I was going for. Lesson for today: buy an actual copy your own book and then wait for it to arrive before you try to sell it to others. It’s not coming down again because by now, quite frankly, I’m drunk. Which doesn’t help me when various people from Australia, where the eBook is still riding in the top ten humour bestsellers list after six weeks, start asking why they can’t buy it in the shops over there. The short answer is that expanded distribution takes – drumroll please – another six weeks. Expanded distribution being the means by which bookshops can find and purchase The New Mrs D wholesale. Something tells me Tolkien never had these problems. Anyway, book marketing marvel that I am, you can always run along to my Goodreads giveaway page and try to win one of ten signed copies if you like, which I will then lovingly post to you with an added cheesy joke to prove it is me. Something like, ‘a body with its bum missing has washed up in the Thames. It’s the worst case of arsenic I’ve ever seen.’ This way you will absolutely KNOW what you’re in for when you read the novel. The very best of luck with the book Heather. Also, thank you for the plug. You are a very lovely lady, if a little scatty at times.